UPPER WEST SIDE — Move over Henry Hudson, and make way for the Notorious B.I.G. This spring the venerable New-York Historical Society's Saturday Academy will offer a series of free courses meant to bring history alive for young people. The series, which also includes free SAT prep for students in grades 10 - 12, runs from March 10-April 28. In the hip-hop class, called "Hip-Hop In Context," students will listen to pivotal songs like "Cop Killer" by Ice-T's 1990s group Body Count, but they'll also explore hip-hop's place in New York City's wider cultural life, instructor Dylan DePice said. In addition to rap music, students will also study graffiti and break dancing and their place New York's history. "Hip-hop started in the 1970s, but I'm going to go back even further and talk about the history of the U.S. that leads us to a moment in the '70's where the Bronx is sort of this ignored little area of the city where there's all this youth rebellion that becomes hip-hop," DePice said. 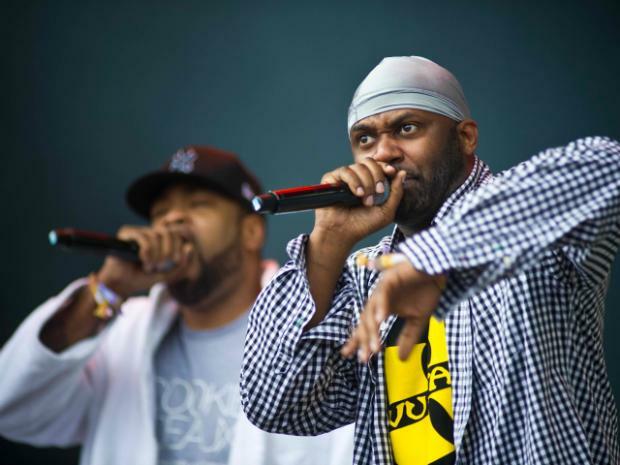 The class will cover the dawn of hip-hop, with the Sugarhill Gang's "Rapper's Delight," explore the differences between East Coast and West Coast rap, and discuss how politically minded groups such as Public Enemy and N.W.A. gave way to the bling era of the 2000s. Along the way, students will practice critical thinking skills that could help them on the United States history Regents exam, DePice said. "We'll be taking a step back and saying, this is a popular song, but what made it so popular?" DePice said. "The idea is to put it in context and say, what allowed for this to catch on?" Funded by the Gilder Lehrman Institute, whose mission is to improve the teaching of American history, the classes are designed to expose students to aspects of history they might not learn in the classroom, said Betsy Gibbons, the museum's director of school programs. Other topics in this year's Saturday Academy series include the history of advertising, art and activism in the 1980s, and "attempted revolutions" in American history, including Occupy Wall Street. All of the classes are directly linked to the Historical Society's collections, Gibbons said. The art and activism class was inspired by the ceiling from 1980s artist Keith Haring's former store, Pop Shop, which is currently on loan to the Historical Society from the Keith Haring Foundation. The hip-hop class is connected to another odd artifact in the Historical Society's collection — a graffiti-covered bathroom door that once belonged to photographer Jack Stewart, who documented 1970s graffiti that's considered part of the hip-hop movement, Gibbons said. "He became so interested in it that he started bringing graffiti artists into his home for interviews," Gibbons said. "He noticed they were always itching to grab a marker, so he told them they could have the back of his bathroom door." To register for the Saturday Academy, fill out an application here.